Over six and a half years ago my many serious attempts to purchase the Plant City Courier and return it to local ownership came to an end. Dozens of times over the preceding decade, I had watched that paper wither, misuse journalistic talent, reduce staff, close offices, ignore phone calls and sometimes obtusely trample the greater good of Plant City. Like many of us, I had grown to have affection and pity for writers who cared like George Newman and Dave Nicholson, and for editors like Kevin Brady, but the Courier was ultimately owned by big city lawyers who couldn’t find Plant City on a map, even with Google. 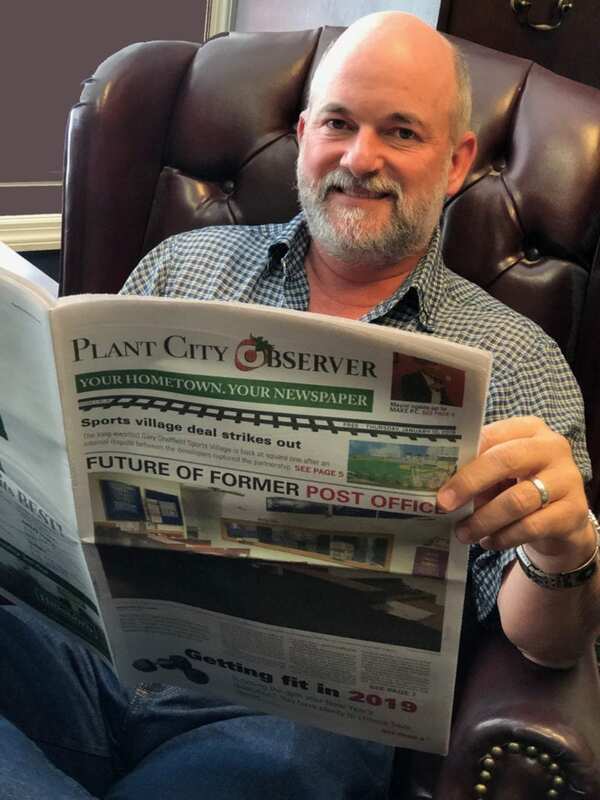 When we started the Plant City Observer in 2012, it marked a new mindset: one of knowing how if buying and joining them wasn’t an option, then beating them would be the next best thing. Four years later, in May 2016, it was with mixed emotions we at the Observer covered the closing of the Plant City Courier. Now, 2019 marks the first time in a generation Plant City’s newspaper is operated, laid out, and managed entirely by local ownership. Over the past three issues you have heard from owners Karen Berry, Felix Haynes, and Nate Kilton, and now I join them in heralding how the Plant City Observer covers home from home. We have enjoyed essential benefits from past associations and partners, and in many ways our Plant City paper was like a great kid on a bike, but with training wheels. But as of this new year, the training wheels have been removed and at last we are riding on our own. We may wipe out a time or two, but we are gonna make it. What do we want from you? In a nutshell, we want you to read the paper. We want you to engage with our electronic media. We want your stories, complaints, letters to the editor, and suggestions. We have excellent writers who work full-time to stay in touch with Plant City news – make sure you know them and how to reach them. If you are a business, we want you to communicate with our 20,000+ readers via advertising. If you are retired and without a business, maybe you will think about sponsoring an ad for your favorite charity or suggest having your civic club advertise their message to our readers. And don’t buy the lie that print advertising doesn’t work. Unlike many daily newspapers, hyper-local print weekly newspapers can and do succeed. And likewise, don’t buy into how social media has doomed true journalism. Social media is great for those who want to control their narrative and it has a growing place in the minds of all Americans, but the honor of reporting local community news beyond spin is sacred and essential. Karen, Felix, Nate and I have diverse opinions and skills, and yet all of us are passionate about Plant City’s news and our newspaper. We hope you, too, will celebrate and support how Plant City again has its own newspaper.